The third largest city in Gujarat, Vadodara is situated on the banks of the river Vishwamitri, some 139 km from the capital city of Gandhinagar. The railway line and the national highway connecting Delhi to Mumbai pass through Vadodara. The city has a population of almost 1.6 million people (as of 2005). It houses the Lakshmi Vilas Palace of the royal Gaekwad dynasty of the Marathas. It is also home to the Maharaja Sayajirao University of Baroda, which is the largest university in Gujarat. 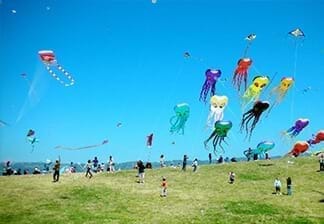 The city is wonderfully cosmopolitan, attracting people of all cultures, not just from India, but also across the world. Vadodara was once called Chandravati and was named after its ruler Raja Chandan. It went on to be known as Viravati, and later Vadpatra owing to the abundance of banyan trees on the banks of Vishwamitri. It has received its present name of Baroda or Vadodara from Vadpatra. Baroda’s history goes back more than 2,000 years. However, the major development in the city took place after the Mughal rule over the city ended in 1732. Except for a short break, Baroda was ruled by the Gaekwads from 1734 to 1949. Sayaji Rao Gaekwad III (1875-1939) had envisioned Vadodara as an industrial, educational, and commercial centre, and had made several strides to realise his dream. He initiated several socioeconomic and industrial reforms. With his policy of industrial development, Baroda came to flourish as an important centre for chemical, textile, and oil industries. He also introduced compulsory primary education and a novel library movement to promote education in the city. If there is anyone to be credited with the city’s progress and beauty, it is this visionary ruler. 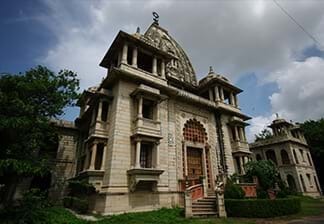 Vadodara is popularly known as ‘Sanskari Nagar’ or the cultured city. The city is truly cosmopolitan with a variety of ethnic and cultural identities melting into its pot. The vision of the Gaekwads and the subsequent industrialisation have led the populace to welcome several people from all over the country and the world at large. You will find almost every Indian community happily co-existing with others in the city. 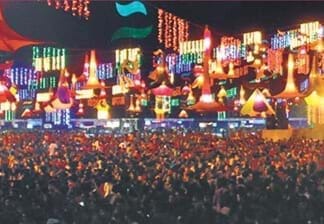 This could also be seen in the social and cultural traditions of the city with each festival – Uttarayn, Holi, Ganesh Chaturthi, Id, Christmas, etc., which are celebrated with equal vigour. Barodians are warm and hospitable folks, which is no surprise given the rich background of the city. 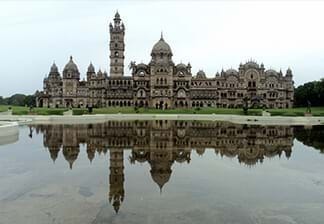 Vadodara is home to some of the most attractive tourist destinations in the country. If you happen to be a history buff, this place will reveal various gems to you. Some of the popular attractions are Laxmi Vilas Palace, Kirti Mandir, Tambekar Wada, Maharaja Fateh Singh Museum, Makarpura Palace, Nazar Bagh Palace, among others. You will also find plenty of hotels in Vadodara suited to your budget for your stay here. All in all, Vadodara is a beautiful city of changing, myriad hues, a true reflection of India itself.